I was in my quiet time this morning when I came across this verse. My life is so full of good things right now, but still I cross some burdens and challenges. No life is without it’s pain. One of the things I used to struggle with more is doubt. Again, not doubt of God, but of the world. Will this happen for me? Will I get this opportunity? Will this occur? You know, just the everyday things of life that we spend doing and work for. But as I’ve gotten older, I’ve realized that every time I have one of these thoughts, I can pray about it. God doesn’t want us to sit around wondering about things and having doubts about the world. And on a morning when I wake up and just when I want to give up and bawl my eyes out, this, THIS, is the first thing I see. Truly, the Lord is good! The word used for “comfort” is the same one used for children being comforted and held by their mothers. And “delight” means “someone or something that provides a source of happiness”. When I feel like giving up, God is always there to pick me up! God gave me this verse this morning, and I have been repeating it over and over in my heart. And His Word and His promises are true! 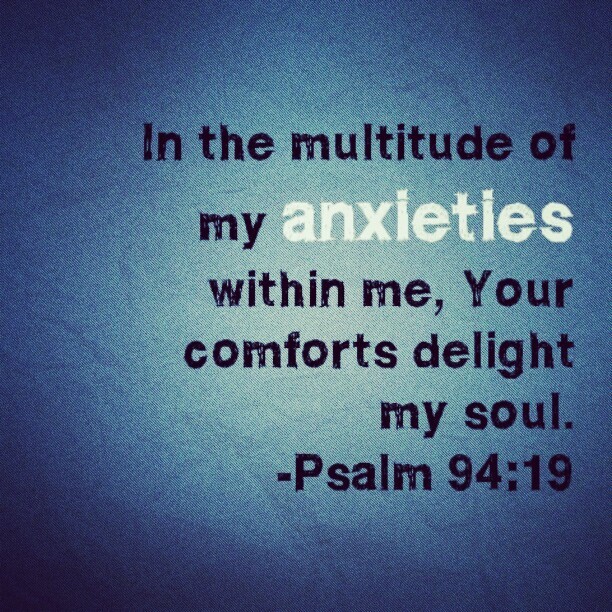 His peace and consolations have indeed delighted and quieted my soul. Trusting Him completely today! Let’s define L-O-V-E. According to my friend na si wikipedia, it refers to a variety of different feelings, states, and attitudes that ranges from interpersonal affection. It can refer to an emotion of a strong attraction and personal attachment. Andaming ibig sabihin ng love, pag-ibig, amour, liefde o ai! O Di ba! Sabi nga sa kanta ni John Mayer, “Love is a Verb”. But LOVE is not only a verb. Dito tayo mag-focus ngayon mga ate at kuya. To understand love correctly, we must see that love originates as a noun that necessarily produces verbs. “God is love”: By saying this, John is pointing us to the origin of love. In the previous verse, he writes, “love is from God” (1 John 4:7). True love is a part of and comes from the most beautiful, most valuable, most satisfying Treasure that exists: God. Wala nang iba! “God so loved the world, that”: It is true that love is a verb. 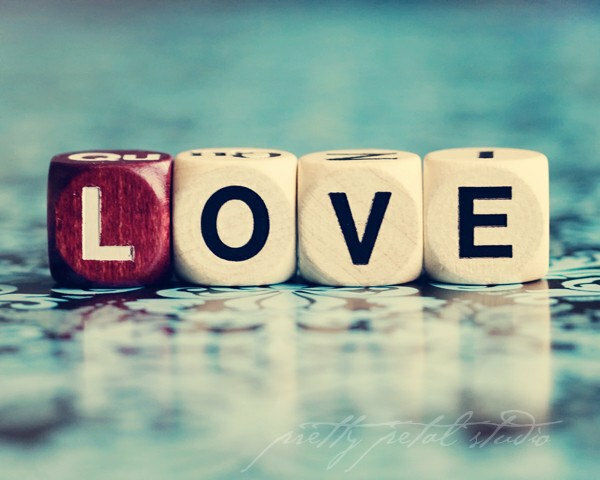 In English, we use forms of the word “love” as nouns, verbs, adverbs, and adjectives. Syempre dinaanan natin yan simula elementary at high school. Hanggang College pa nga eh. But that doesn’t change the fact that love in its divine origin is an action-producing noun. Even used as a verb in this verse, we end up understanding love as a noun. The word “that” makes all the difference. It tells us that God’s love for his Trinitarian glory, and for the Bride he determined to purchase for his Son, was the motive that moved him to the action of giving his Son. “By this we know love”: True love is revealed in Jesus’s death on the cross. TRUE LOVE teh! TRU LAB! Get? 🙂 He laid his life down for us “for the joy that was set before him” (Hebrews 12:2) in glorifying his Father (John 17:1), receiving glory from his Father (John 17:5), and the full eternal joy of his redeemed Bride (John 15:11). That’s what love looks like. Ang sabi ni Sir John Piper sa kanyang book na Desiring God, ayyyy. . . Love is the overflow of joy in God that gladly meets the needs of others” (119). God is love, and love is from God. Therefore, loving others is doing whatever it takes for them to have as much of God as they can. Anything that looks like love that we do for others — being patient, kind, not boastful or irritable or resentful, giving away our possessions, even martyrdom (1 Corinthians 13:4-5, 3) — that isn’t done for God’s glory and with a desire that others may taste and see that God is good (Psalm 34:8) is not true, vibrant love. Godless love is a hollow shell, a love that has lost its soul, a flower cut from its root. Godless love is sin (Romans 14:23). It makes you catch your breath, doesn’t it? How often is your “love” sin? O how wonderful is the precious gospel! Jesus fulfilled the greatest commandments for us sinful lovers! There is therefore now no condemnation for us if we are in Christ Jesus (Romans 8:1). But, if you’re like me and see the frequent hollow sinfulness of your love in light of biblical love, you’ll realize that this whole “pursuing love” thing is a much deeper issue than we first thought. And the remedy is far more than us trying to do more verbs — to produce more actions. We need a deeper transformation, a profound reordering of our souls’ affections. And this only happens by looking at the glory of the great Noun until we delight in him more than anything else. So that’s where pursuing love begins: look at the Noun — gaze at God in his love. Dive into the greatest commandment before getting consumed in the second. In the long run, because of the actions it will produce, this is the most loving thing we can do this year.